During the night of 6th November 1940, a large number of bombs were dropped from German aircraft, one landing in Nayland Rd and the others across the fields to the Colchester Rd and leaving four large craters. The Nayland Rd explosion caused a hole the full width of the road and some 9 - 12 ft deep. 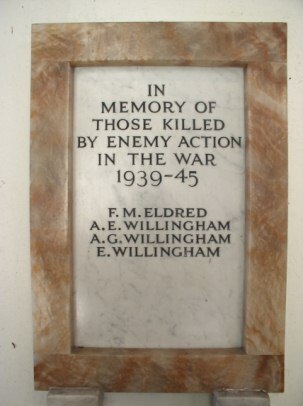 The bomb made a direct hit on one of the council houses, the resulting carnage killed four members of the Willingham family and injuring many others. 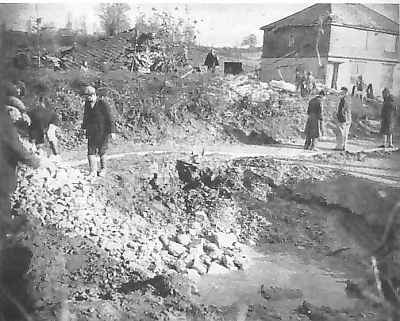 The photograph above clearly show the crater in the middle of Nayland Road together with the demolished house in the background. Today these houses have been rebuilt as No`s 29/30 Nayland Rd. From a report received from Stephen Barr ( see below) it seems more than likely the main target was the factory. At the time lights were seen emanating from the windows with no blackout precautions taken. 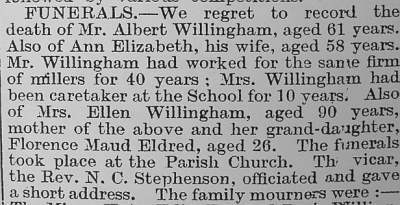 "Suffolk Gazette and Eastern Counties Advertiser"
Both Mr & Mrs Willingham were killed together with 90 year old, Mrs Willinghams mother and Florie Eldred. 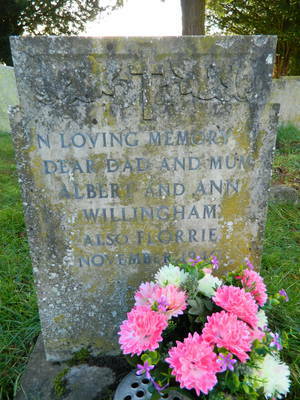 The Willingham children fortunately were in school just up the road at the time of the bombing. 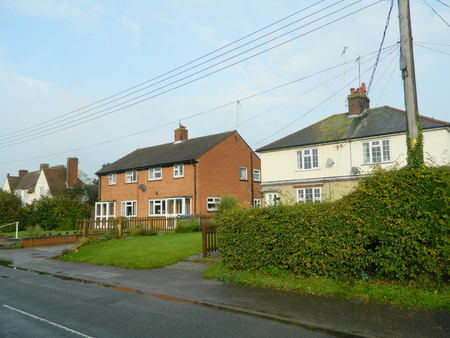 The property in the red brick was constructed during the mid 1940`s as a replacement for the Willinghams. The properties to the left and right are the original council house design built during the 1930`s. Many residents over the years have only mentioned either a single bomb or a cluster of bombs which fell in the vicinity of Nayland Rd, destroying the Willinghans family home. Courtesy of Suffolk Free Press & Mrs Mavis Sadler, Colchester.